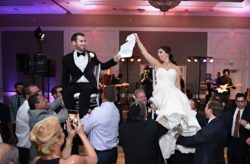 Hilton Bonnet Creek: Maria and Eddy - A Chair Affair, Inc. 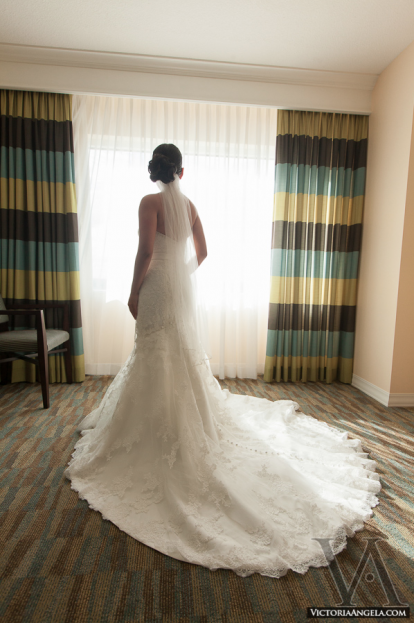 In December of 2012, Maria and Eddy were wed at the Hilton Bonnet Creek. 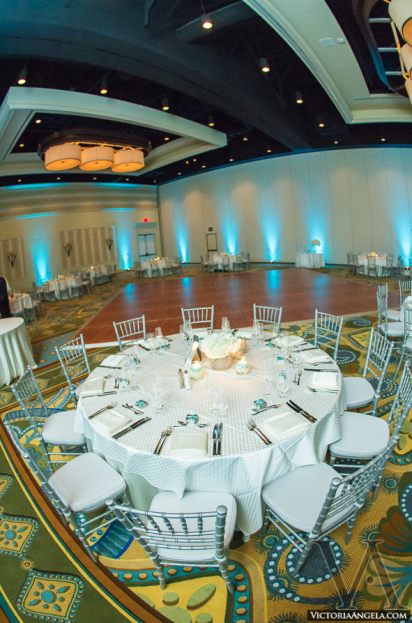 Their wedding was coordinated by the skilled Nicole Squared Events, and captured by Victoria Angela Photography. 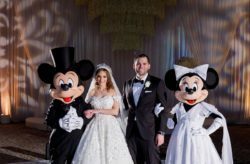 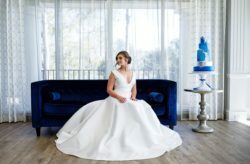 The bride’s wedding gown with a goregous train was Allure Bridal from Minerva’s Bridal, with hair and makeup by Flawless Faces by Alicia. 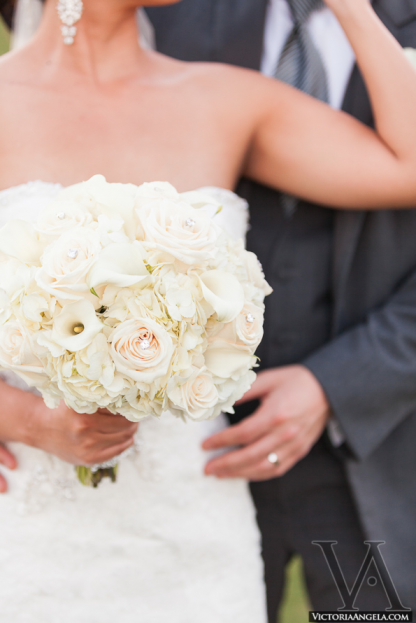 We loved the white floral arrangements by In Bloom Florist, with white hydrangeas, ivory roses, and white calla lilies as their special wedding day flower. 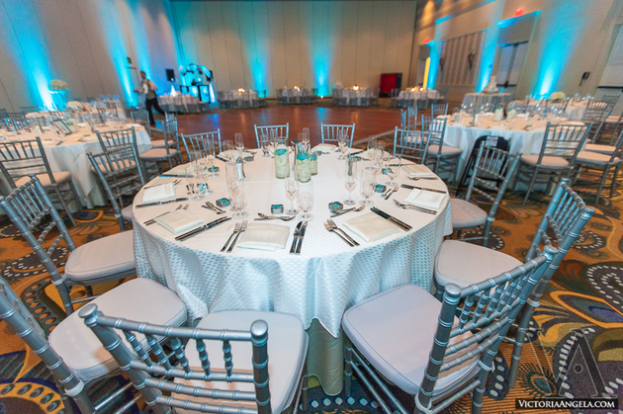 For the reception, we provided our silver chiavari chairs for their stunning “spirit of our time” theme with accents of blue bows, ivory flowers, and sparkling embellishments. 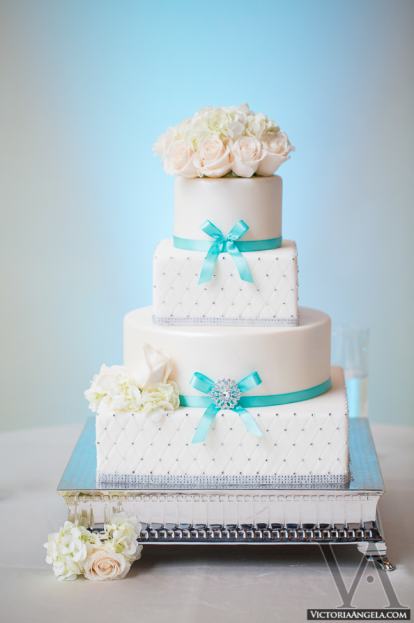 The cake, with baby blue bows, was made by the Hilton Bonnet Creek. 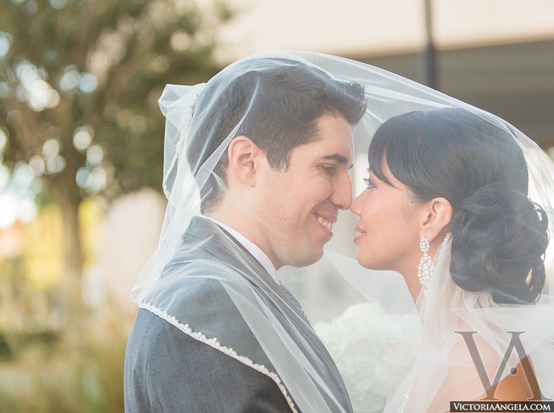 Maria and Eddy, it was a joy to work with you! 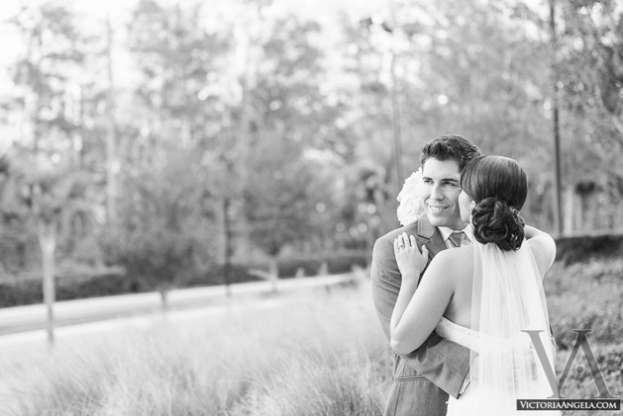 We hope your happiness continues into the future!